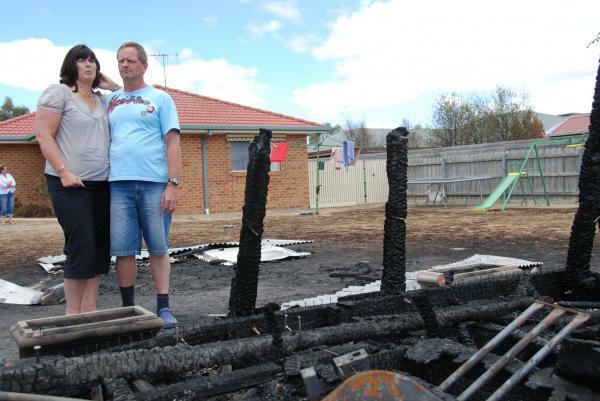 Sue and Geoff Herbert inspect the fire damage in their backyard. 26995. 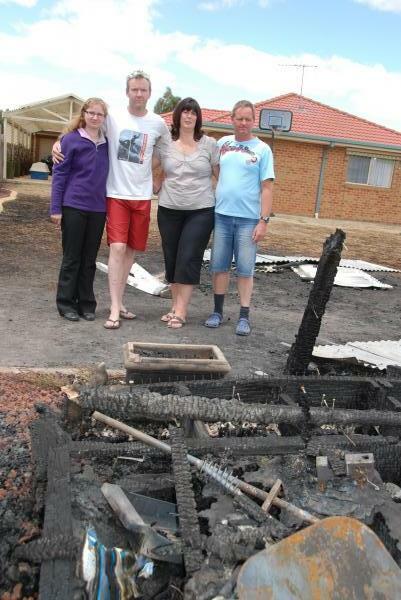 A family who were caught up in a Narre Warren South fire on Black Saturday count themselves lucky. Sue and Geoff Herbert were at a wedding on Saturday 7 February, when a fire tore through their street in Langbourne Drive. “We were very, very lucky. It came within metre of the actual house,” Ms Herbert said. “The good thing was how the community came together…people came from everywhere. “People were using wheelie bins and everything to try and fight the fires,” she said. At the time, police said the fire, believed to be deliberately lit, started along Coral Drive near Ormond Road at 5pm. A wind change at 5.42pm, according to a 2009 Victorian Royal Commission Report, caused the fire on Coral Drove to head towards Langbourne Drive. Houses caught in the blaze on Langbourne Drive were relatively news houses built on suburban-sized blocks positioned very close together. The Herberts lost part of their backyard including their children’s cubbyhouse, but others were not so lucky. “It was very hard, coming home and seeing the devastation of the street, and to know our house was still standing – that took a lot out of us,” Ms Herbert said. Allan Appleman was one of the neighbours who fought to save the Herbert’s’ home. “We just wanted to thank everyone,” Ms Herbert said. 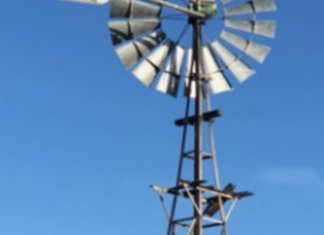 “Every time we have those really strong winds in those really hot days it does bother me a bit. “We are still living here and we still do get very worried, especially with everything going on at the moment, it gets very scary. “We’re constantly getting onto the council to make sure they keep a fire break which they have been,” Ms Herbert said. “We’ve educated the kids, we’ve educated ourselves.